Having your bridal party there with you during the process of planning and executing a wedding can be an amazing help. It's nice to have your friends and family to lean on during a stressful and emotional time. The women who you may end up leaning on the most is your bridal party! After making you feel special during your entire wedding planning process (and the actual wedding, of course) they deserve something amazing from you that expresses just how thankful you are. Jewelry can be a great gift! It lasts forever and is a constant reminder to them every time they wear the piece of how amazing your friendship is. Genuine Silver Bangle in White Topaz, Sky Blue Topaz, or Amethyst: This bangle is super cute and simple to be worn everyday. This makes for a great gift that every member of the bridal party is sure to love! Pick a bangle in either white topaz, sky blue topaz, or a beautiful purple amethyst color. Infinity Earrings: These infinity earrings are so cute! The infinity style is very popular and sure to be a great gift for your bridesmaids. It is a great gift that you can know will get worn many times, as it's great to wear every day! Heart Engraveable Ring: This is another great gift to give! Again, this ring is great to wear everyday and the best part is that it can be engraved on the inside. It's a great way to personalize the gift to the bridesmaids, so they have a little piece of those memories with them always. Engraving their initials or something like, "Thanks for helping us tie the knot" is a great option. White Sapphire & Diamond Necklace: This small necklace is bound to become a wardrobe staple. It has such a classic look to it, and all of your bridesmaids will love to receive it as a gift! Sterling Silver Triple Bangle Bracelet: This bracelet is super cute, and can be left as is or personalized with each bridesmaids initial! The perfect bracelet for your bridesmaids. Shop more styles in jewelry to give your bridesmaids here. Vintage rings are making a definite comeback in terms of people choosing them for their engagement rings. It's become easier to find and buy these pieces, with the internet giving the ability to buy online. Most people actually prefer to buy something that is unique and not mass produced. Not only are vintage pieces unique, they usually have a story and a past to them. The vintage part of the jewelry makes them more interesting and gives them character. Think about jewelry that is passed down in a family from one generation to another: receiving that as a gift and knowing that it was special to a loved one decades before you, makes it all the better. People love the idea that what they are purchasing and wearing has history to it. There are antique jewelry shows in big cities where people can come and auction to buy these rare finds. Celebrate 33 Years of Princess Jewelry! This year marks 33 years of business for Princess Jewelry. We couldn't be more passionate about the work we do and the people we serve. Princess Jewelry opened in 1985 in St. Paul, MN. We originally only sold gold chains but saw an increasing market for engagement rings and other jewelry. About three years into business, we moved into our Burnsville location. We were there for 30 years and then moved to our Lakeville location 3 years ago. We have loved being one of the most reliable family-owned jewelers south of the river. John, the store's owner, created instruments to magnify diamonds more than what jeweler microscopes were doing while he was running the business in 1992. John's instruments were sold by GIA (Gemological Institute of America) and De Beers Jewellers, both internationally known as the leading sources of knowledge, standards, and education in gems and jewelry. The turn of the century brought new technology, which prompted John to create WeddingBands.com, an online site where people can buy jewelry. The site fully launched in 2000 and is still thriving today! In addition to selling jewelry in the store, we also make custom jewelry for those who are looking for something a little different. We can design jewelry that you would like and make sure it comes to life exactly how you imagined it. Today, the store is run by John, his wife Suheyla, and their daughter Edessa. Both John and Edessa are accredited jewelry professionals by GIA and have extensive knowledge in diamonds, colored gemstones, metals, watches, etc. At Princess Jewelry, we strive to be the best we can be to provide the best service for our customers. That is one of the best parts of being a family-owned business stationed here for the past 30 years- we get to know our customers. As the years have gone on, we have seen our original customer's kids grow up and come to us, along with their nieces and nephews, siblings, and friends. We truly believe that the reason we see generations of customers continuously come back to us for their jewelry needs, is because we genuinely care. We love getting to know each of our customers and their families. There is nothing better than seeing a familiar face walk into our store. The same is to be said for our customers- having trust in your jeweler is invaluable. Being a small family-owned business allows us to tailor each experience specifically to what the customer's wants and needs are. 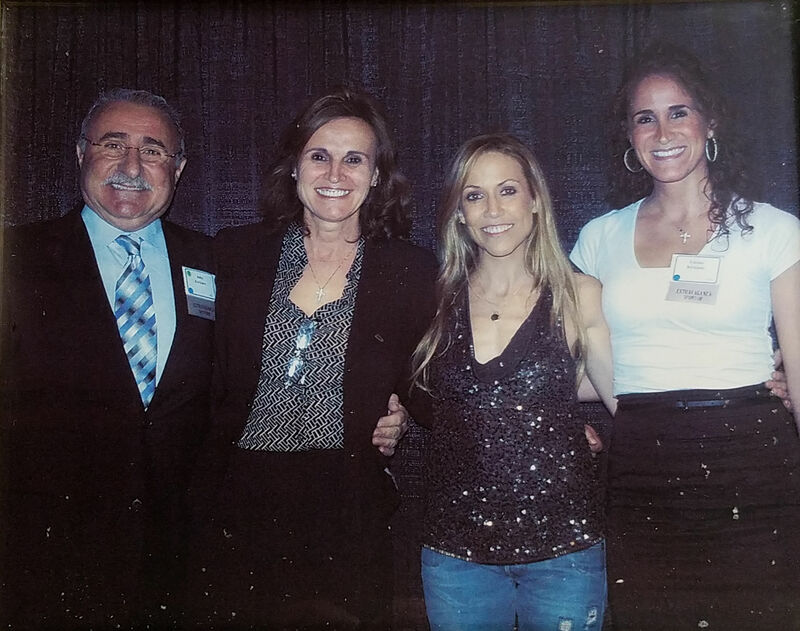 Pictured below is John, Suheyla, Sheryl Crow, and Edessa at Pacer benefit. You're sure to find one of them when you walk in! We love what we do here at Princess Jewelry. To be a part of something so special, whether it be an engagement, a wedding, an anniversary, or a landmark birthday; is an aspect of the job we cherish. We know the power of jewelry. The way it can express endless love, hold unforgettable memories, and be a precious keepsake for a loved one. To all of our customers, thank you so much for an amazing 33 years (and counting) together. To our future customers, we are so excited to meet you, and look forward to serving you in the best way we can. Getting engaged is a huge step, and sometimes it can be stressful choosing the perfect ring for the perfect partner. One style of ring that couples have been opting for are rose gold rings! Maybe it's from the rosé trend and/or how beautiful the color looks on so many women. The pretty pink rings make a great option for couples who are looking for something a little different. There are many to chose from, so we compiled a list of the best rose gold engagement rings one can choose, and all are available at Princess Jewelry! Oval Diamond with Accents: This rose gold oval diamond engagement ring with accent diamonds is absolutely gorgeous! This ring so sparkly and has beautiful accents to create extra sparkle. Your partner is sure to love this classically beautiful design with the large oval diamond! Rose Gold Vintage Floral: If you're looking for a different style ring, this vintage ring is a great contender! This ring has a beautiful oval diamond in the center, and beautiful floral-like accents with accent diamonds. We love the shape that the accents give the whole ring! Rose Gold Petal: Similar to the ring above, this ring has accents that look like petals on a flower! the rose gold in addition to the accent diamonds make for a beautiful ring with a floral vibe. Rose Gold Marquise Floral Vintage: Marquise-shaped diamonds are for those looking for something a little different in their engagement rings. The diamond shape is great for those who want the illusion of elongated hands and fingers! This ring is sure to wow everyone who sees it. Hand Engraved Solitaire: This round cut diamond is set on a beautiful hand engraved band, which was crafted to perfection. We love how intricate and unique the band looks with the diamond centerpiece! Regardless of which ring you choose, we're confident you will love any rose gold ring you decide on. The color is beautiful and perfect for anyone who loves the pink undertones or wants something a little different. Most rings come with a rose gold option, so all you have to do is ask! Shop our rose gold rings here. One of the best parts of living in Minnesota is being able to enjoy the 10,000 lakes our state has to offer. Minnesota summers at the lake with all of your friends and family is unlike anything else- it's practically our specialty. What if we told you we were able to wrap up all those fun elements to plan... the ultimate lakeside wedding! Location: This one is pretty obvious- it'll be near a lake! 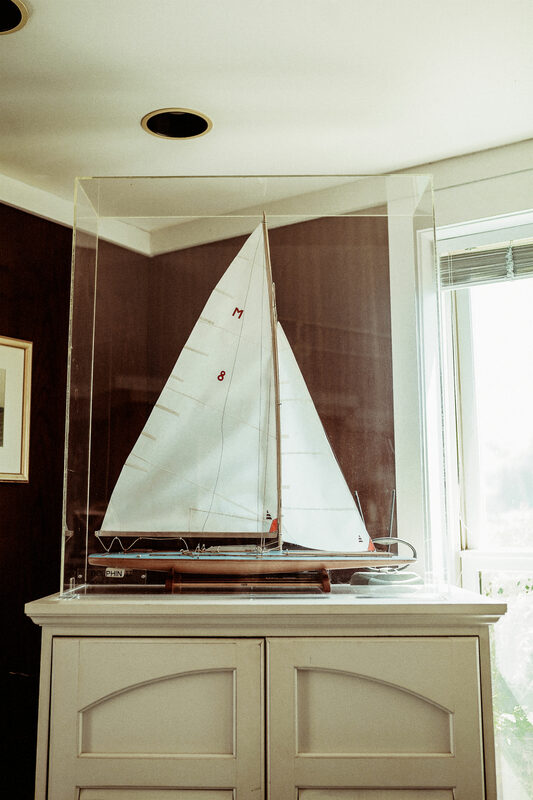 This photo shoot was shot at the beautiful Minnetonka Yacht Club. This location was amazing- a small island on Lake Minnetonka but with plenty of space for guests. Like most know, evenings by the lake bring breathtaking sunsets that you and your guests can enjoy. Since there are so many lakes in Minnesota, one has a large number of options when choosing where to tie the knot! Any lake works- maybe the one that has the cabin you've been going to since you were a kid, or the one near your hometown! There are plenty of ways to make the location special to you and your significant other. Invitations: The invitations that were done for the lakeside wedding were absolutely beautiful and absolutely doable! If you're a master calligrapher, this might be up your alley. If not, you can always seek out an expert or someone you know who can write well! The invitations were on theme with the colors of the wedding: peach pink, darker pink, sea green, and white! The creator of the invitations drew a beautiful flower on top to match the flora of the wedding, and had colors to match. 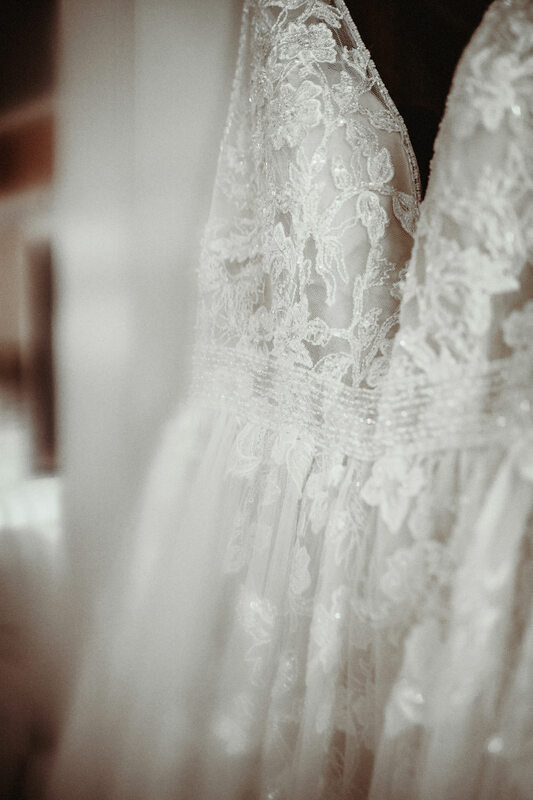 The Wedding Dress: The dress used in this photo shoot was absolutely stunning! For a lakeside wedding, dresses that are flowy, have floral accents, and lace detail go well with the theme. The dress used in this shoot was an A-line dress with a plunge neckline, beaded top portion, and a bit of a trailing train. The back was exposed and had gorgeous buttons and detailing! We loved how the dress looked with the back drop of the lake and scenery. Photos on theme: Something that we really loved that the photographer did for this shoot was take photos that were very on theme with a wedding by the lake. A few of our favorites included photos of the bride and groom in beach chairs, which were decorated and dressed up for the wedding! It is such a cute take on life on the lake and a great way to incorporate the theme into your wedding photos in a creative way. Another photo set which was done very well were the photos of the bride and groom on the dock! Such a simple shot that looked amazing with the contrast of the water and sky behind the couple. Another set that was genius on behalf of the photographer were the photos in the boating storage unit. Sounds like an unlikely location, but the photos looked amazing! 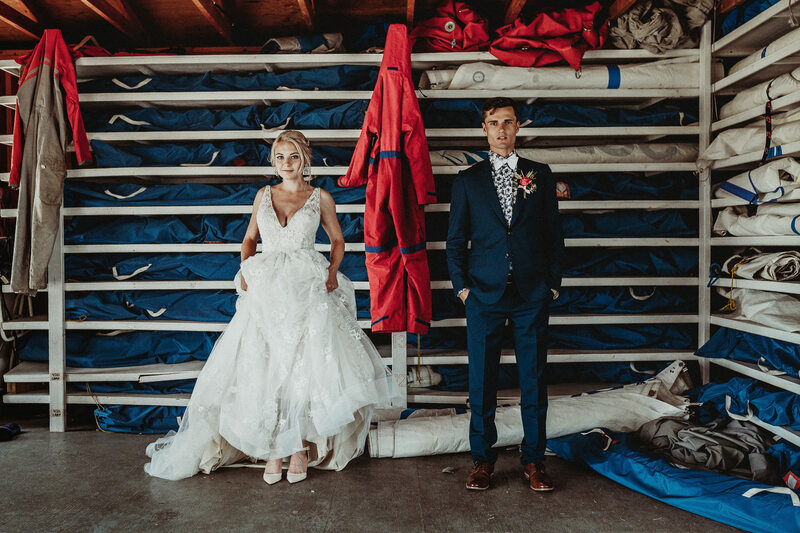 The colors of the boating equipment with the bride and groom's nuptial attire was very aesthetically pleasing. The last shot we loved the photographer included were the bride and groom in the boating marina by the docked boats.Take a look! Jewelry: The engagement rings and watches used in the photo shoot were all from us! The bride's ring is a vintage style ring with accents around the center diamond. The groom's ring is a two toned band, and his watch is from the Tempo Di Lugano watch collection. All pieces are classic and beautiful, and sure to be the perfect addition to your wedding day attire. Shop engagement ring, wedding bands, and watch styles here! When many think of pearls, they may think of the string of pearls their grandmother wore way back in the day. But, pearls have made a comeback and are better than ever! Pearls are a great way to class up an outfit or to give as a great gift to someone special. Pearl jewelry comes in many different fashions, so here is a guide to help you navigate five pieces you must have in your wardrobe. For information on the different types of pearls and how they are formed, please click here. #1. Pearl Drop Earrings. These pearl and diamond drop earrings are to die for! They are so classic and great for everyday wear. Buy these as a great present or keep them all for yourself. These go great with a fancy evening gown or a summer sundress. #2. Pearl Strand Bracelet. This bracelet is elegant and beautiful, and is a slightly different take on the classic pearl necklace. This bracelet can be an exquisite heirloom or keepsake that gets passed from generation to generation. Wear this stacked with other bracelets for a bangle effect, or alone to highlight the beautiful pearl color. #3. Pearl Ring. A pearl ring is not something one would think of, but it can really add some flair to your wardrobe. Add a pearl ring that fits your style- either a simple pearl on a band or a unique statement pearl ring. We really like this two tone pearl ring for everyday wear, or to wear on special occasions! #4. Pearl Pendant. A piece that is equally as dainty and classic as pearl drop earrings is a pearl pendant necklace! There is nothing better than a simple sparkly piece of jewelry to wear with almost everything, especially when the pearl is paired with diamonds, like the one below! makes a great anniversary or birthday present, too. #5. Pearl Brooch. This may not seem like a likely choice, but a pearl brooch done correctly can really add another level of class and style to an outfit. This pearl and diamond pendant can be worn in a lapel of a blazer, in a scarf to hold the ends together, strategically in your hair in an up-do, etc. Shop more pearl jewelry, here! Over the decades, Victoria has been photographed wearing many different engagement rings- 14 to be exact! Her and her husband, David Beckham, got engaged back in 1998 and now have four children: Brooklyn, Romeo, Harper, and Cruz. The Beckham family are definitely fashion goals- probably because they get their fashionable looks from their mother! It is not surprising that Victoria has multiple engagement rings- she has always been recognized as a style icon and fashion mogul. Below are look a likes and descriptions of each of her beautiful engagement rings! The second ring that Victoria was seen in was not too far after the wedding. In 2001 Victoria was seen in a simpler look- a diamond encrusted eternity band. This type of ring is a classic look that looks good on everyone! You cannot go wrong with this type of ring. In 2003, Victoria was seen in a different engagement ring style- an emerald cut diamond ring with side baguette diamond accents.We really like the baguette-style for diamond accents. It adds another element of sparkle to the ring! In 2005, Victoria was seen in a pear cut, 17 carat ring with a diamond band. Pear shaped diamonds are very beautiful and trendy! When they are cut correctly, pear diamonds have lots of shine and sparkle. Below are a few of our favorite pear shaped diamond rings from Princess Jewelry. In 2006, Victoria was sporting a ring similar to her ring from 2003- a yellow emerald cut ring with 3 bands encrusted in diamonds. This ring is super glamorous and different than a standard ring. We love the triple band to support the diamond- it is a great way to add some sparkle and bling to your already gorgeous ring! In 2007, Victoria was seen in a cushion cut emerald and diamond ring. This type of ring was a change from the usual diamond centerpiece. Emeralds are known for their unique green color which stands for growth, reflection, peace, and balance. This is a great ring if you are looking for an engagement ring that is a little different than what is normally done. In 2009, Victoria was seen in a ring that looked similar to her emerald ring, except this one was made of ruby! Ruby’s are an elegant deep red color that symbolize love, passion, power, and a zest for life. Ruby’s are a great alternative to diamonds if you are looking for something different. You cannot go wrong with the elegant red color! Pictured below is a ruby ring with diamond accents. And the following year, in 2010, Victoria was seen in another colored gemstone- she was pictured at multiple events in an oval cut sapphire with a diamond encrusted band. Sapphires are a very popular alternative to diamonds in engagement rings. The deep blue color compliments almost everything! 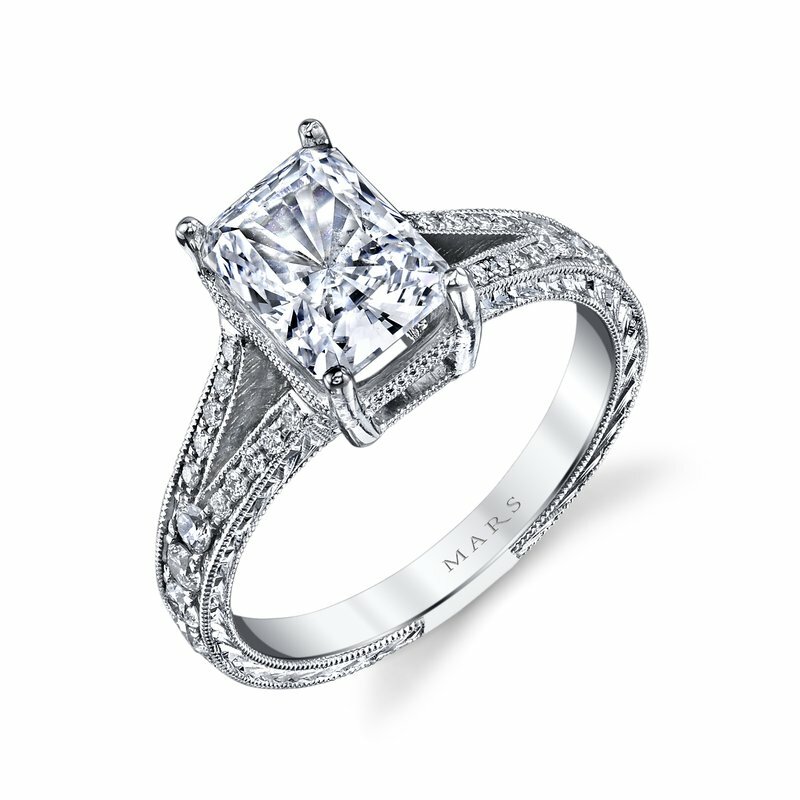 We're seeing a trend for halo style engagement rings. Later that same year, she was also seen in an emerald cut pink diamond with a diamond encrusted band. We love how each ring is slightly different from the last and her incorporating colored gemstones and diamonds! After a couple years in 2015, Victoria was seen back to the basics in a round cut halo ring with a diamond band. This style is extremely popular with couples getting engaged. In 2016, Victoria was seen in a simpler square diamond on a pave band. We love how she switches her looks from extravagant to more simple! 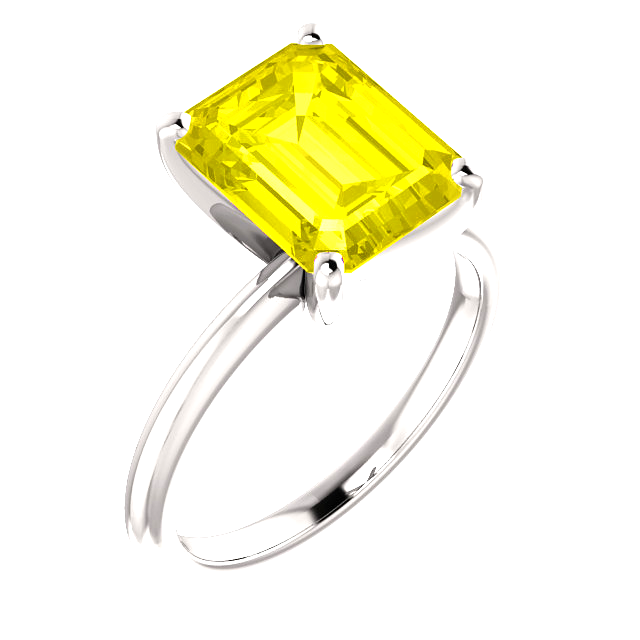 And finally, in 2018 at Paris Men’s Fashion Week, Victoria was seen wearing a new engagement ring- a square-cut yellow diamond set on a platinum band. How can you get bored of all your engagement rings when you have 14 of them? She has been seen in all of them at least once over the many years! We will see if she debuts any additional engagement rings in the future. For now, if you want to add to your collection of engagement rings. Shop our engagement ring collections here. Izabel is originally from Brazil and and has been dating Kevin since 2015. Kevin is originally from Germany and is a goalie for the Paris Saint-Germain soccer team. The two have a post-engagement glow as they celebrate their engagement and also Kevin’s 28th birthday in Mykonos, Greece. The engagement ring is an emerald cut diamond in the center with two diamond baguettes on either side, set in a white gold band. We have identical pieces at Princess Jewelry, shop here! Congratulations to those two!